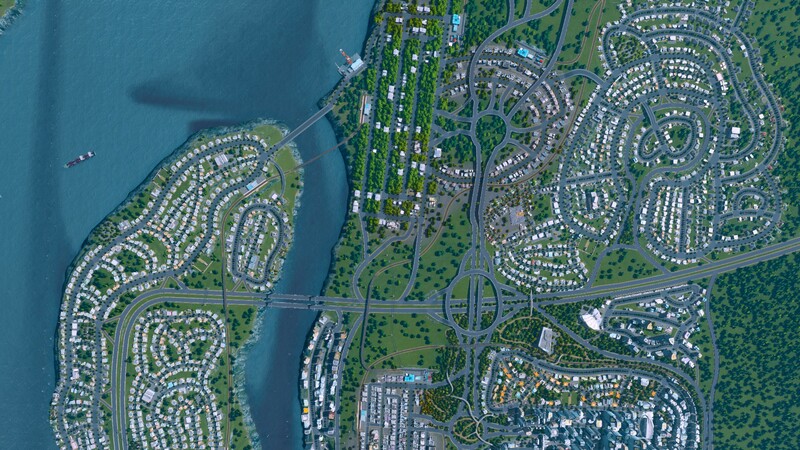 Cities: Skylines seems to be doing pretty well for itself. It's broken the publisher's sales records. It's getting a really positive reception. 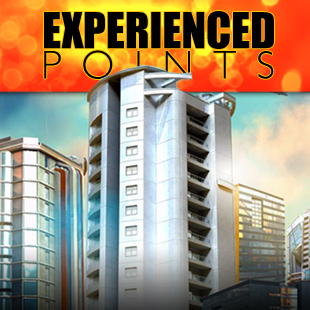 Our own Jonathan Bolding gave the game a glowing review. For reasons not worth talking about, it's usually considered bad form to compare games in a review. If Shoot Guy V: Shoot More Bullets is a good game, it doesn't seem fair to spend the entire review talking about (say) The Last of Us. But this isn't a review and we can do what we like. 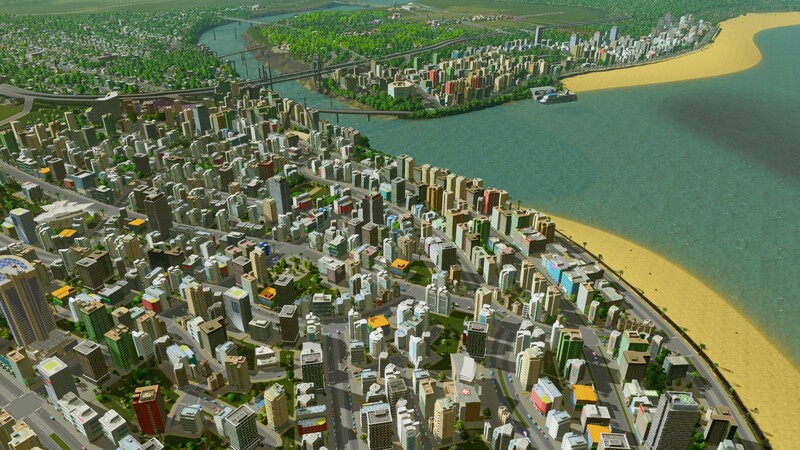 So let's pit Cities: Skylines directly against the most recent SimCity game and pretend the outcome isn't going to be obvious. Disclosure: At the time, I really didn't see a need to pay $60 USD to play SimCity when everyone seemed to be saying the exact same things about it. So I was content to "enjoy" the game vicariously through friends and angry op-eds. I'm just going by the overwhelming public consensus on this game and not personal experience. For the purposes of this exercise, that's plenty good enough. When we're talking about the "sim" part of SimCity, it basically wasn't. You might not have noticed if you gave up on the game early like so many people, but the rules that drove the game had more to do with the free-to-play mindset of "progression through participation" than with city simulation. It was possible to make a city that was entirely residential with no goods to buy, jobs to support people, or city services to sustain them. But since the simulation was programmed to mindlessly grow over time, the city would grow anyway until you had an entire city of unemployed people with no access to food or clothing, mysteriously living in massive high-rise buildings. SimCity bragged that every inhabitant was simulated. But when players looked, they found the simulation was silly and shallow. 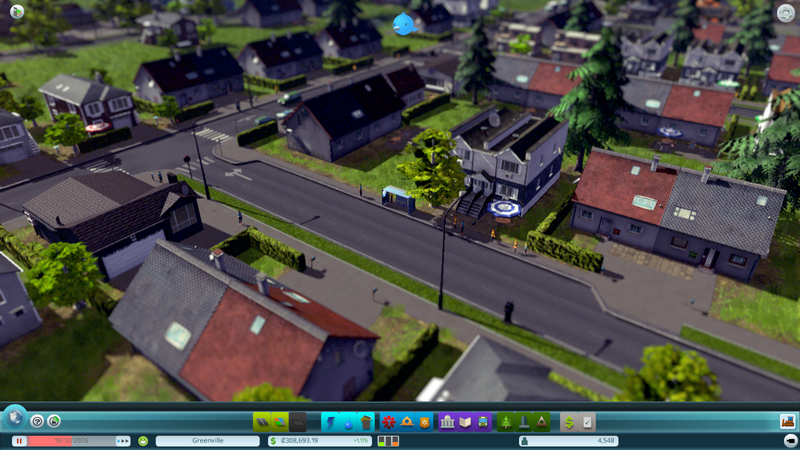 A sim would leave their house in the morning and drive until they reached the first building with an available job. Then when it was time to go home they drove to the closest empty house. 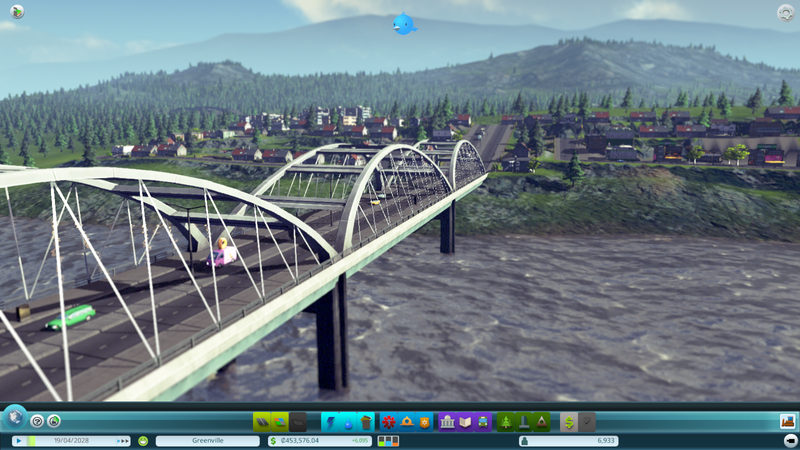 But Cities: Skylines manages to deliver on the failed promises of SimCity. Every inhabitant has a specific name, a family, a place to live, and (one hopes) a job. They go to school, choose their education path, find a job, and eventually die of old age. 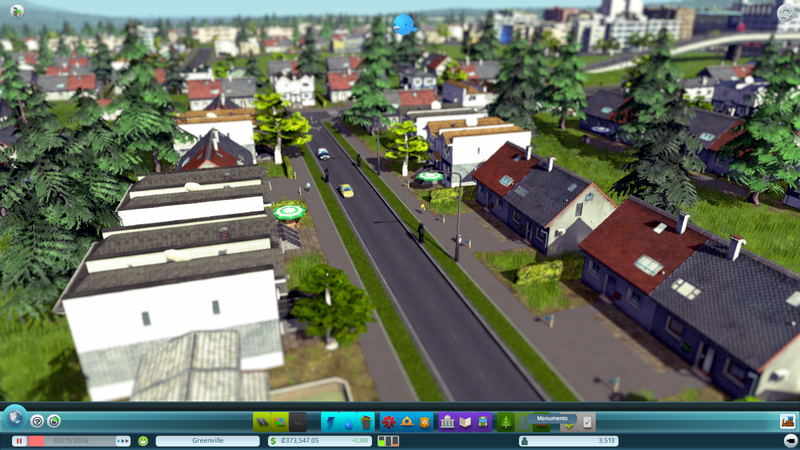 You can zoom in and follow a single citizen through their routine. 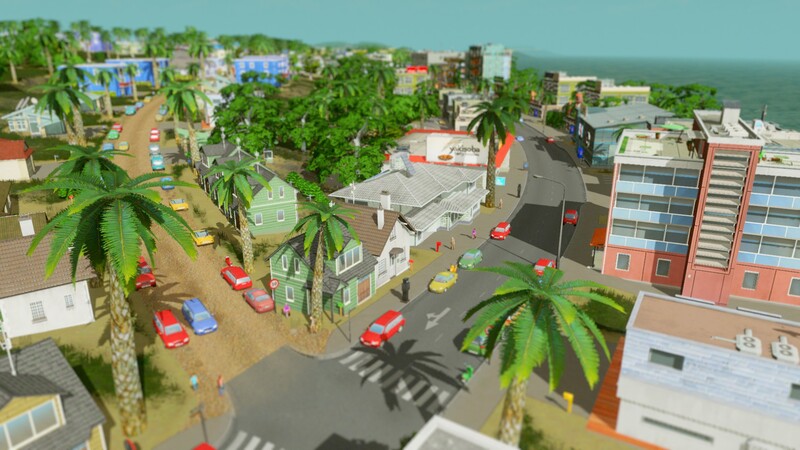 It's a real simulation where people move in if the city is nice and they flee the city if you screw it up. 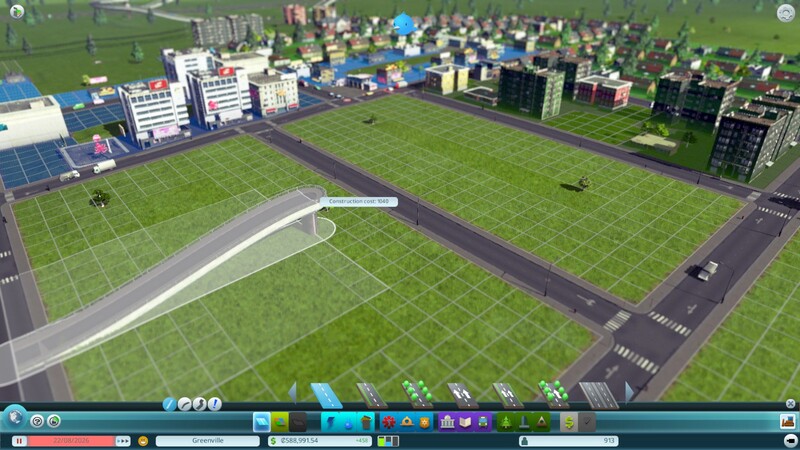 The pathfinding in SimCity was so primitive that it probably qualified as broken. Cars followed a brute-force "shortest path" logic that ignored everything about a route except for the distance traveled. Which meant that cars would rather travel to their destination on a gridlocked dirt road rather than an open four-lane highway if the dirt road was even a tiny bit shorter. 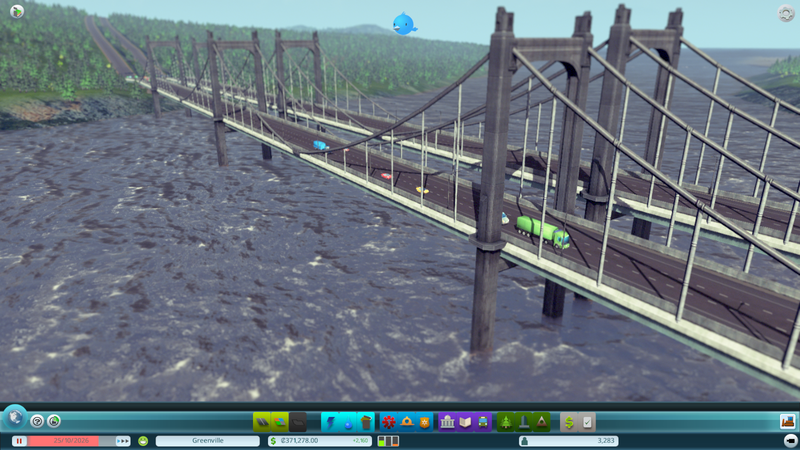 In another game this sort of "my first pathfinding algorithm" might be tolerable, but in a game with such a focus on traffic management it's unforgivable. 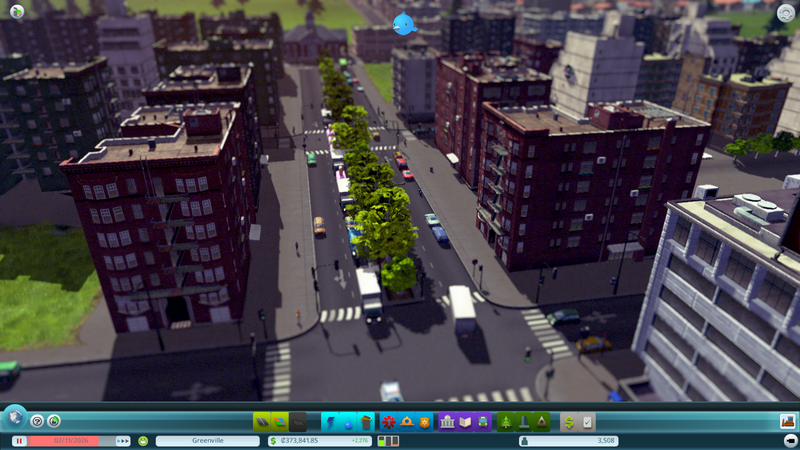 The traffic in Cities: Skylines is easily the deepest and most interesting car simulation I've seen in a videogame. It's deep enough to create something we rarely get in games: Emergent puzzles. 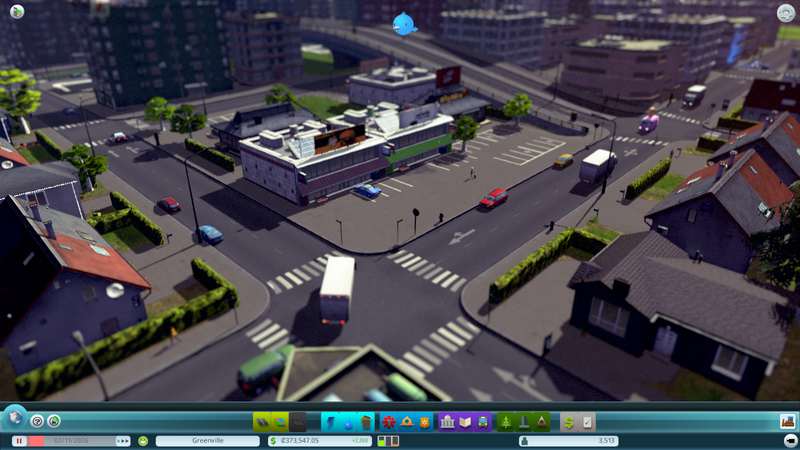 Yeah, you could solve this traffic snarl by just bulldozing the whole intersection and making all the roads fatter. 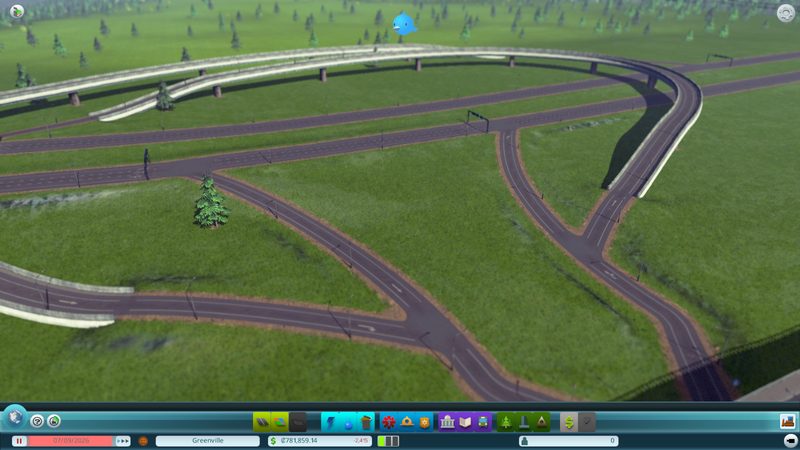 But if you're smart and observant you might be able to solve the problem by making an on-ramp just a little longer. Or change one of the streets to one-way. Or create a bypass. Even better: All those vehicles have a purpose. 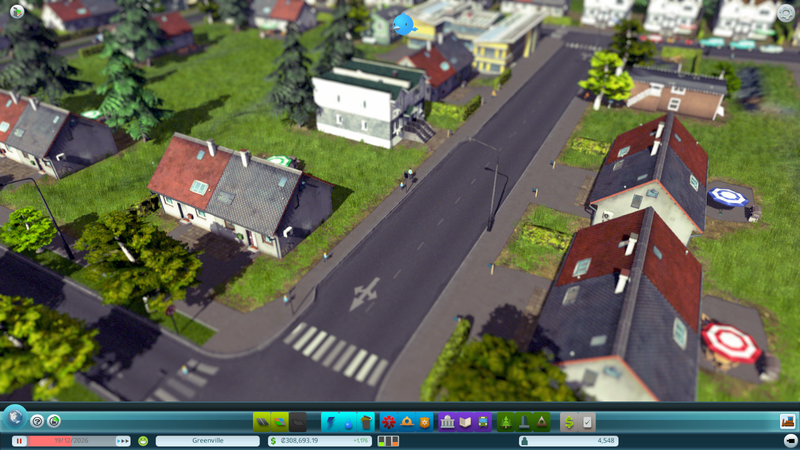 They aren't just randomly generated traffic. You can click on a vehicle and see what it's delivering, and to where. If it belongs to an inhabitant, you can see who they are and what they're up to. 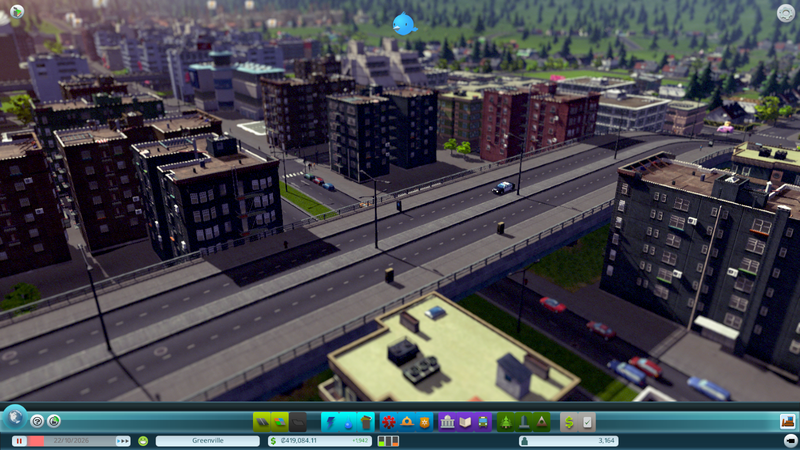 If you stop the deliveries from getting through, the city can and will fall apart in various ways.